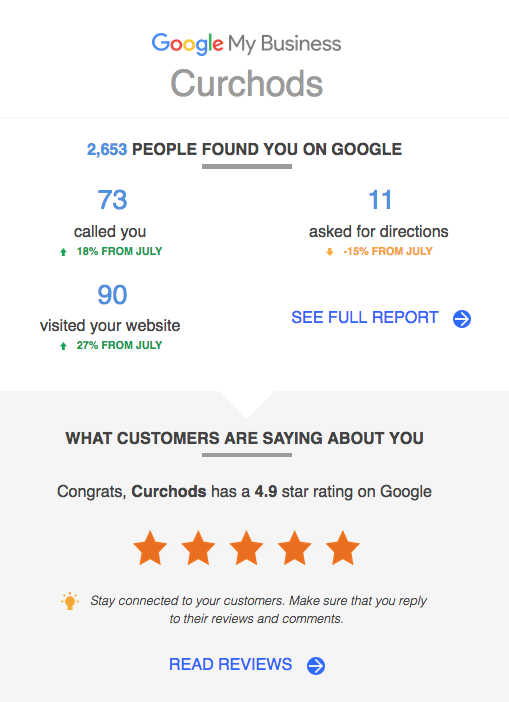 Every business wants - needs - a great reviews score. But many are adopting the wrong strategy to achieve it. 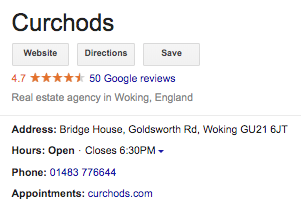 This is a screenshot of a client's Google knowledge panel - the mechanism Google use to feed all searches, specific (on the business's name) and local ('estate agents Woking'). Three out of the seven businesses listed in the unfiltered search have fallen out of search altogether. 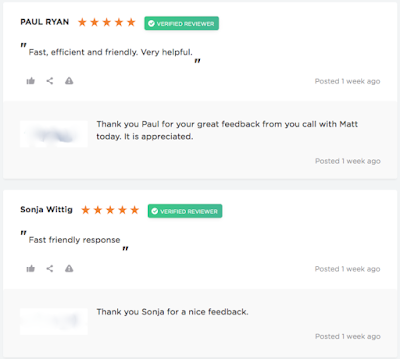 As soon as most businesses understand the power of Google reviews they do the most obvious thing: they begin selectively, and very carefully, inviting their most satisfied customers to write reviews to Google. This strategy, however, is in direct contravention of the CMA's core regulations. All of which would be fine if the reviews host and/or the business concerned made it clear to potential customers that a significant proportion of the 'Genuine Customer Reviews' are of telephone calls rather than of the business's core offering. And it is all too easy to use a mechanism like this for gating. All the business then has to do is invite all those that post a 5* review on the reviews site to copy their review to Google. Gating is not only against the CMA regulations, it contravenes Google's own rules regarding reviews and when this happens Google are prone to deleting all a business's reviews without appeal. It's on the most important site by far - Google - and it adds value for both business and consumer. It has also (April 2019) been viewed 172 times. 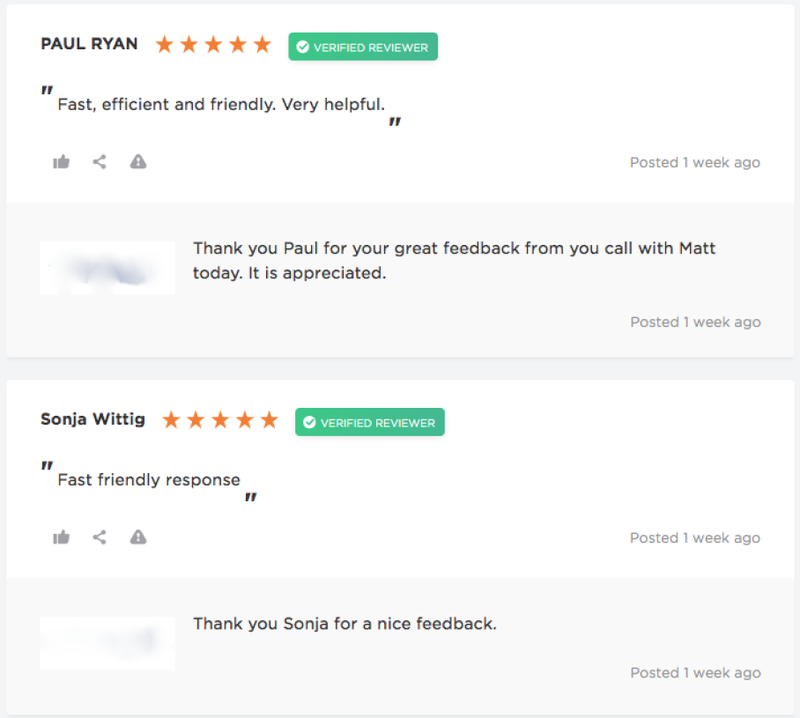 We realise that this article is turning into a pretty good guide on how to game the system to get a great Google score and ultimately mislead prospective customers into using your business (or at least contacting it). That would be so, were it not for the presence, in the UK at least, of the government sponsored regulator (the aforementioned Competition and Markets authority) which is specifically directed to sanction those businesses abusing reviews for their own ends, whether cherry-picking or gating or adopting even more sophisticated methods to improve their image for any given search. The reason so many businesses are breaking the law is fear. Interestingly, they are not afraid that customers will write fully-justified and accurate criticism - unless they have bad customer relations - they are concerned that reviews may contain factual inaccuracies and/or misleading statements that will deflect future business. And they are right to be, as a single well-crafted review can - and has - stopped the phones ringing. As you can see from reading this and other articles posted here, there is no need to game the system or break the rules (one and the same thing). Getting proper professional review management working for your business has so many benefits besides enabling you to sleep at night, safe in the knowledge that your business won't be getting a knock on the door from the regulators (or be being undermined by your competitors) that it puts any decent business in a win/win position. HelpHound for your business - why now? The future for reviews - could it be bleak? Visits up 27% thanks to HelpHound!